*Length of inseam measured on an unworn garment. Size Charts are intended to be guidelines only. Fit may be dependent on your preference, body type and structure. Sleek Fit Skintight fit and elongated in the back. Developed with riding position in mind to maximize aerodynamic properties. 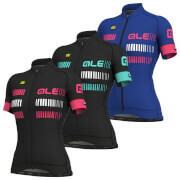 The jerseys of our AERO-LIGHT range feature this fit. Slim Fit Form fitting jersey. Remains close to the body minimizing wind resistance in the saddle. 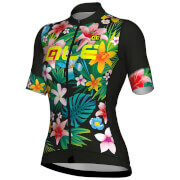 The jerseys of our ELITE range feature this fit. Giada is a great summer jersey with a classic cut that fits perfectly the curves of all women. Suitable for hot summer days, it is made of Energy Microsense fabric, lightweight and breathable, with sleeves in Artico, soft in contact with the skin, to ensure an optimal fit without constraining. 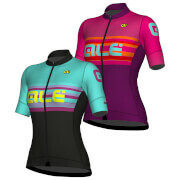 Elasatic with inner silicone at the waist to keep the jersey in position while pedaling. Featuring reflective piping for maximum safety while riding in the dark. Perfect Fit High Performace Cut With Inner Silicone At The Waist. Lightweight And Breathable Energy Microsense Fabric On The Sides. Freedom Of Movement Energy Microsense Fabric Ensure An Optimal Freedom Of Movement Without Constraining.